If you want to start freelancing, then you’ll find Upwork as one of the largest freelancing marketplaces. So it’s quite common to see that those who intend to offer their freelancing services, learn how to do it on Upwork. 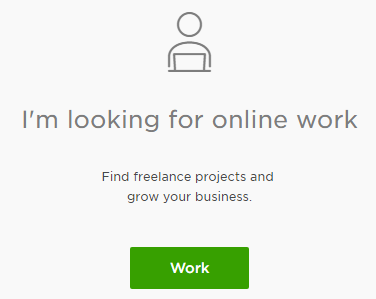 For this, I’ll show you how to start freelancing on Upwork in this blog post. By seeing the process, you could then work on all the freelancing sites. One thing to add here is that you should decide which freelancing job you’ll do before you create your freelancing profiles on different platforms. How to Start Freelancing on Upwork! Tick the user agreement box and then hit the “Get Started” button. Check your email inbox and you should get an email verification email from Upwork. Verify your email address by clicking the given link. Great! You have created your freelancing account on Upwork. That’s not all. You now need to complete your profile settings. This the profile text where you need to write a persuasive copy for yourself. This is very important because the text will position on top of your profile and most of your clients will read this. Make a great introductory text in this part and then go to the next one. In this section, you’ll need to attach your previously done work. If you have any work of your own in the same field of freelancing, you can add that to this section. Do you own any certificate? If so, then add that to this section. If you’re already an experienced one, then you have the room for showing that to your potential clients. Add your all employment histories to this section one by one. What’s your educational qualification? No need to tell me, dude, just mention that in this section. You may have some skills in other fields other than the field of your freelancing gigs! If you are like this, then mention all your other experiences in this section. 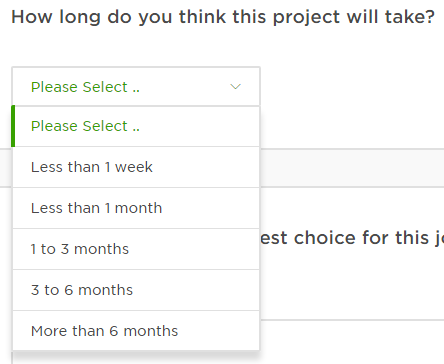 After completing all the sections, your Upwork profile is fully complete. Remember that most freelancing platforms will need you to give this kind of information, though the names of different sections may vary from one site to another. I hope that you could create your freelancing accounts on different freelancing platforms by following the above instructions. After creating your profile on Upwork or any site, now you need to learn how to search your preferred freelancing jobs by filtering. 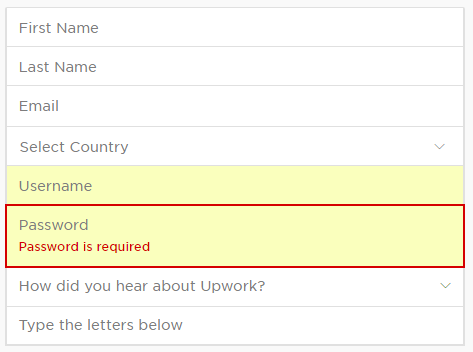 First of all, land Upwork after logging into the site. Hit the green colored search button which will take you to another page. Click on this and it’ll open all the subcategories. Select your freelancing category from the list of subcategories. Suppose that your chosen freelancing category is “Writing”, then hitting on that from the list. This will allow you to directly and quickly land your preferable jobs. 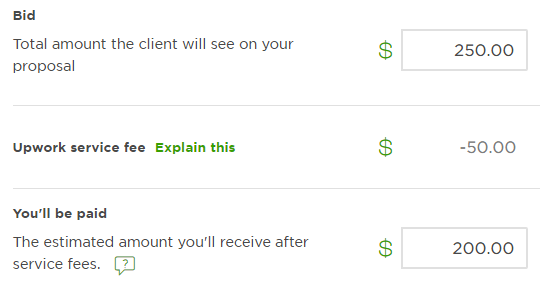 Now, from the homepage of Upwork, you can see your filtered option. Just hit the “Writing” and all your preferred jobs will be presented one by one in front of your eyes. Now, learn how to apply for a freelancing job. This is the preview of a writing job where from you can learn something about the job. To know more about the job, hit the title of it. It’ll open in a full web page so that you can read everything about the job. Hit the button and you could see different options for submitting your proposal for the job to the respective client. In the section below, set your budget for the job. And in this section, set your expected time to accomplish the task if you get it. Then, the next part is for writing your proposal which is one of the crucial elements of getting a job. Don’t submit a copy-paste proposal, rather write a custom proposal according to the requirements of the job. If you can do this on a regular basis at the time of your job applications, you’ll see a great response from your job applications. Use a great grammar checker tool (read Grammarly review) to make your writing flawless which will help you get more and more jobs. So, answer the question very carefully by writing in the blank box. Before you hit the “Submit A Proposal” button, make sure that there are no mistakes in your writing. To do so, proofread several times before hitting the button. So, this way, you can start freelancing and when you get some jobs and get paid, then you’re making money online without paying anything, right?